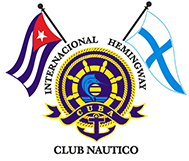 The Board of Directors and members of the Hemingway International Yacht Club of Cuba greet you sincerely and wish to share with you and all members of American boating Community the happiness that fills our hearts because of the establishment of diplomatic relations between our two countries, historic event, that opens a path, full of hope and optimism, that will enable us to continue expanding and strengthening relations of friendship and cooperation established with the American boating community since May 21, 1992, when our Yacht Club was founded. We also look forward with confidence that the normalization of the diplomatic relations will contribute to the free movement of boaters and fishermen by the bridge of friendship that we have been building since 1992, worked that has also counted on your support and cooperation. There are still obstacle to the free movement on that bridge. In addition, we are very pleased and hopeful that the normalization of diplomatic relations gives us new opportunities in order to organize conferences, seminars, courses, sailing and motor racing, fishing tournaments and other boatings events. With great pleasure, I express you that the Board of Directors of the Hemingway International Yacht Club of Cuba and its 2433 members, from 65 countries, belief that the same sea that separates us is the same sea that unites us. I take this opportunity to reiterate our greetings and express the assurance of our highest consideration. This historic race will be covered by many news outlets in the future. Watch for the latest articles and announcements. January 7, 2019 – Welcome to the 10th edition of the Conch Republic Cup, Key West Cuba Race Week! November 6, 2017 – The Conch Republic Cup (CRC) announces its 10th Edition of the Key West Cuba Race Week January 26 –February 3, 2018.